What are solar panel kits? Solar panel kits are exactly what they sound like: they’re solar-generating systems that people can purchase and assemble more independently than they would otherwise. Solar kits are very popular among the individuals who are trying to live off the grid. Getting home solar panel kits is common for the people who don’t necessarily want to make the upgrade to large-scale solar panels for their homes but who still want to be able to generate their own solar power. Solar kits are also popular among the people who enjoy going camping and who tend to spend a lot of time on RV trips. Solar panel kits are often distinguished from other solar panels specifically because of the DIY nature of the kits. People will have to hire professionals to install everything otherwise in almost all cases. It is true that the professionals are usually from the solar panel companies themselves. Still, the DIY aspect of home solar panel kits can appeal to a lot of individuals these days. Solar panel kits are broad enough and diverse enough in terms of their characteristics that people should be able to find something that they really want. Solar panel kits are usually equipped with everything that people will need in order to start producing their own solar power. The solar panel kits do actually contain solar panels. They have the mounting hardware that people will need in order to position the solar panels in a favorable location. Depending on the model of the solar panel kits, they are also equipped with grid tie inverters that will perform the necessary power conversion, turning DC into AC power from the kit’s solar panels. There are large solar panel kits that are capable of generating DC power only. The grid tie inverters will also allow for net metering capability. Thanks to the net metering capability, the people who are producing solar energy will be able to take all of the surplus energy that they produce and sell it to the utility itself. As such, a lot of the people who use solar panel kits will be able to offset a good portion of their own utility bills. Depending on the sun coverage that they get and the amount of energy that they are able to generate, they might be able to pay next to nothing for their electric and utility bills as a result. One of the most important things that anyone should keep in mind when evaluating different solar panel kits is the wattage. The wattage makes all the difference in the world when it comes to what people can actually achieve with a given solar panel kit. A 10,140 watt solar panel kit should be able to meet the needs of an entire household, depending on the electricity usage of that household. A solar panel kit that offers 320 watts of power should be able to meet the needs of people who like to go camping, but it will only be able to offset a little bit of a household’s power in most cases. There are solar panel kits that will go as low as 80 watts or so, and this is for the casual camper or RV driver in a lot of cases. This is not the sort of wattage that will really allow people to offset a good portion of their electric bills. Still, all users are going to have their own needs when it comes to electricity and for power, so the smaller solar panel kit might be the ideal choice. People will be able to offset some of the electricity that they use with some of these solar panels, and that can be enough to make a difference. If people cannot replace all of their electricity with solar power logistically or otherwise, it still makes sense for them to try to find a way to balance out their power consumption by embracing a greener form of energy that could eventually save them some money. The solar panel kit wattage is directly related to solar panel size. The bigger the solar panel size, the greater the wattage in most cases. A larger solar panel is going to have more solar cells and will probably be able to harvest the energy more efficiently anyway, taking advantage of its inherent size. Some of the solar panel kits that people will use will only make use of DC power. This means that they will work well enough, but they will be much more limited in terms of their capabilities in general. People are going to have to either ration the power or rely on these solar panel kits for smaller camping trips or RV trips only. Solar panel kits that will use DC power in addition to AC household power are also available. People can certainly make use of those, and these will tend to be larger and more expensive. However, they might be excessive for the needs of some people. The size of a solar panel will always matter. For some people, a smaller solar panel is better. For other people, a larger solar panel is better. As the size of a solar panel increases in terms of its surface area, the weight of the solar panel is going to increase at around the same time. This is the sort of thing that people will have to take into account more if they are trying to choose the solar panel kits that are portable. People going on camping trips will not need solar panels that deliver high wattage, for the most part. This is a good thing, since the solar panels that deliver high wattage are going to be much heavier than people would expect almost exclusively. People who are trying to meet their household needs with solar power will certainly need to look at the size of the solar panels and they will need to choose the bigger ones. However, people whose preferences are in the middle might have to play some games with cost and benefit analyses in order to figure out which characteristic is more important to them. The solar panel cost is one of the most important facts when it comes to choosing a solid solar panel kit. It is true that people can use solar panel kits in order to meet all of their electricity needs at home. However, they might pay more than ten thousand dollars for them. Some companies will offer Federal Tax Credits for these solar panels as well, and that is going to make things easier for the people who are trying to find a way to pay for their solar power in a much more responsible and effective manner. Obviously, most solar panel kits are nowhere near ten thousand dollars. Even a solar panel kit that should allow people to meet most of their household needs might cost as little as seven thousand dollars, which is a decent amount for a product that will continue to generate free energy for years to come. With solar power, the initial installation costs can be pricey, without taking into account credits or any other discount. However, the fact that solar panels are able to keep on producing energy always makes them more cost-effective in the end. Looking at the solar panel price per watt can help a lot of people with deciding whether or not a particular solar panel kit is going to be worth it ultimately. This is fairly easy to calculate, although a lot of different solar companies will already do the calculation for customers. Finding a solar panel kit that will cost around 1.77 dollars a watt is common, and it is a good rate. Some of the solar panel kits will cost more than that per watt, and some of them will cost less than that. Finding a high-quality solar panel kit that will cost around 1.50 dollars a watt is still possible. Go Power solar kits are very good choices for the people who tend to take RV trips and who want to be able to produce solar power there. They have solar kits that will generate 80 watts and solar kits that will generate 480 watts, which more or less illustrates the power range that they have. Some of their kits will charge with DC power only, and some of them will use DC power and AC household power. These solar panel kits can also work well enough for the people who are interested in replacing some of their household power with solar power and who are interested in the possibilities involved with that. Go Power solar kits are also more casual than a good portion of the other solar kits that people can find on the market today, since they were designed for people who have a lighthearted DIY approach to the whole endeavor. Go Power and similar companies demonstrate the fact that solar power and solar panel kits have become much more mainstream in the modern world. These products are not ideal for home solar kits, but they will work well enough for the people who are trying to enjoy a more sustainable form of camping and RV driving. RV driving has its inherent environmental costs. However, offsetting some of those costs with solar panel kits will make this hobby more sustainable, and it does certainly help in a real way. Go Green Solar is a popular source for high-quality solar panel kits. It’s easier to find solar kits that can meet a broader range of household needs with Go Green Solar. The 10kW PV optimizer kit is a great choice for the people who want to find a way to rely on solar power entirely. This system can be expensive, depending on how people decide to pay for it. However, it is possible to pay less than two hundred dollars a month with Federal Tax Credit eligibility. Go Green Solar has less expensive solar panel kits that people will be able to use as well, so no one should think that it’s impossible to walk out of there for less than ten thousand dollars. It’s possible to get a 4160 watt solar panel kit for 7,363.20 dollars. This equates to around 1.77 dollars a watt. This is a decent rate for the company, although they have solar panel kits that cost 2.05 dollars a watt and 1.53 dollars a watt as well. It might be possible to find some solar panel kits that are actually less expensive than that, although people will have to pay attention to quality at that point as well. The solar panel size does matter, as does the price per watt. However, that doesn’t mean that the larger solar panel kits are inherently better than the smaller solar kits or that it works the other way around. Different customers are just going to have different needs, and they should try to choose the size of a solar panel accordingly. The solar panel size is going to have a direct effect on whether or not people are going to be able to get all of the power that they need from the kits. Obviously, the size of a solar panel is just as important when it comes to determining whether or not people will be able to comfortably carry it with them when they are on RV trips or camping trips. 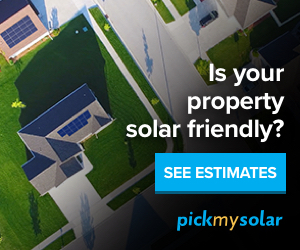 People should consider the costs and benefits associated with all solar kit characteristics.